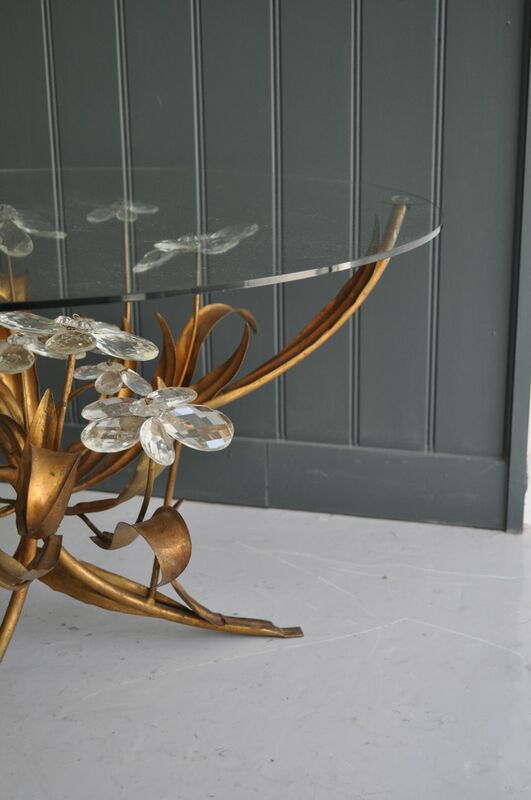 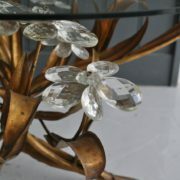 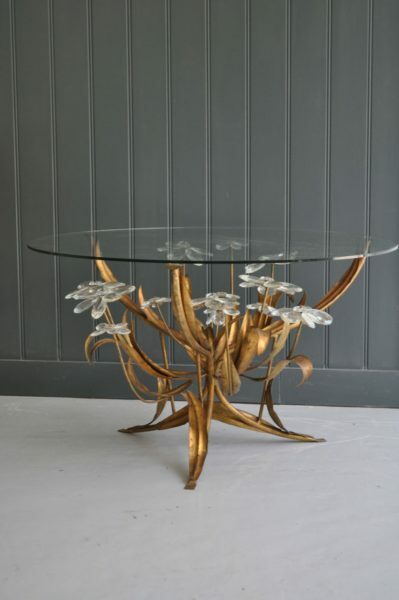 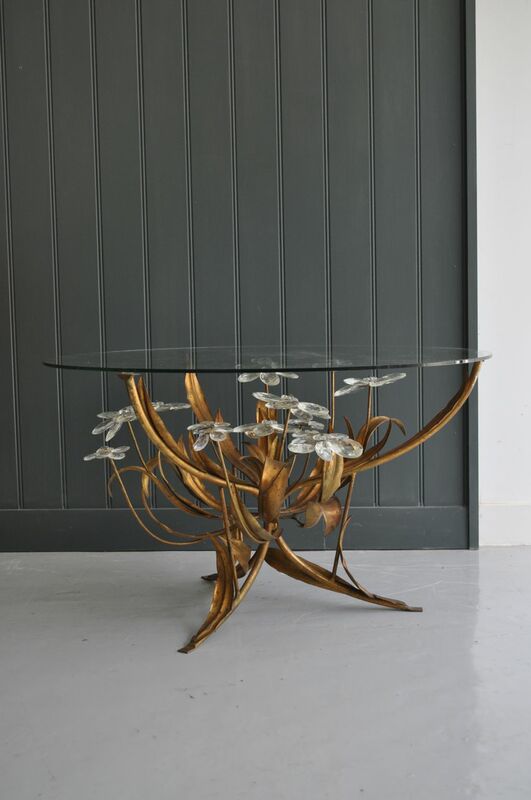 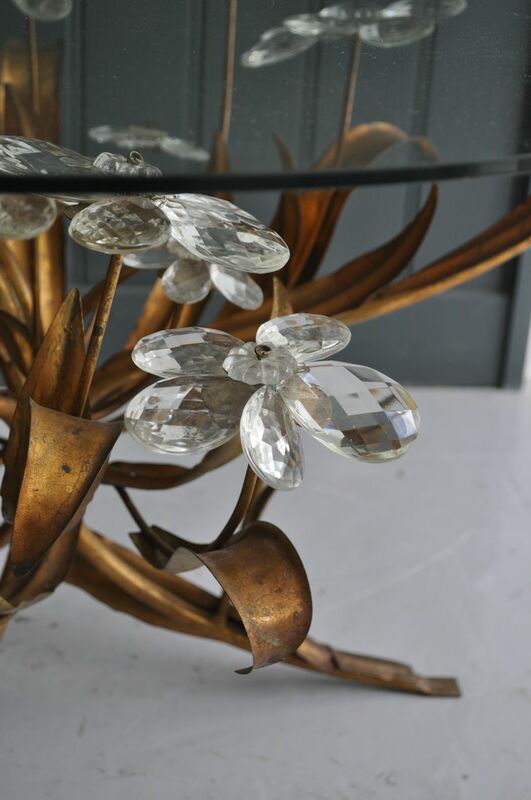 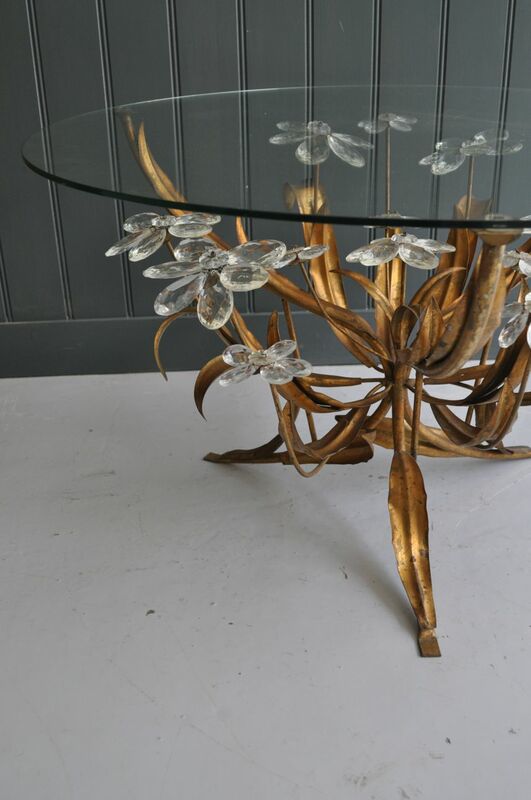 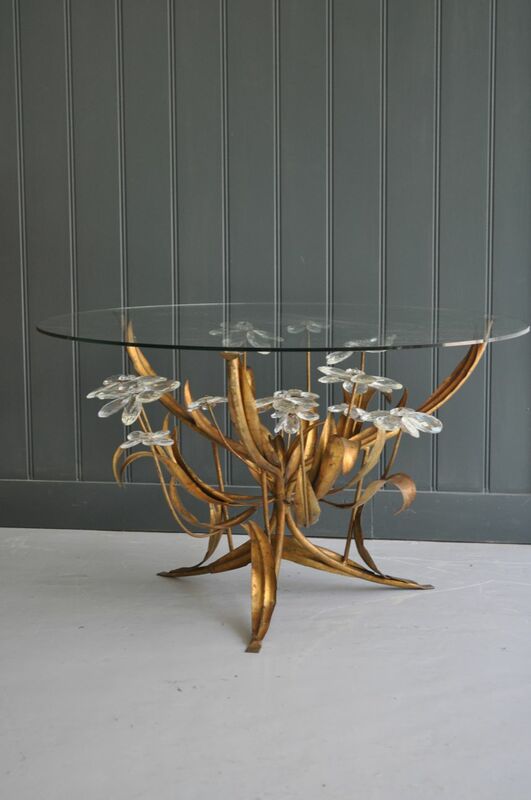 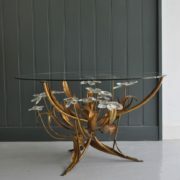 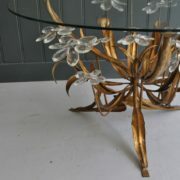 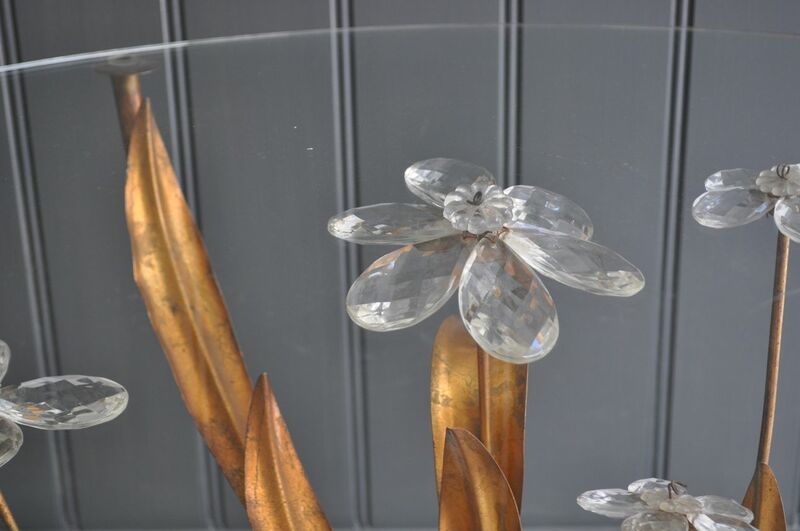 A really lovely and unusual French glass-topped table, with a stunning base featuring cut-glass flower heads. 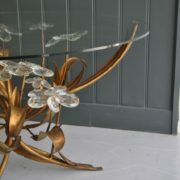 Minor wear to the metal ‘leaves’ in keeping with age. 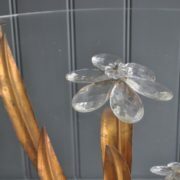 Small suction pads hold the glass firmly in place.